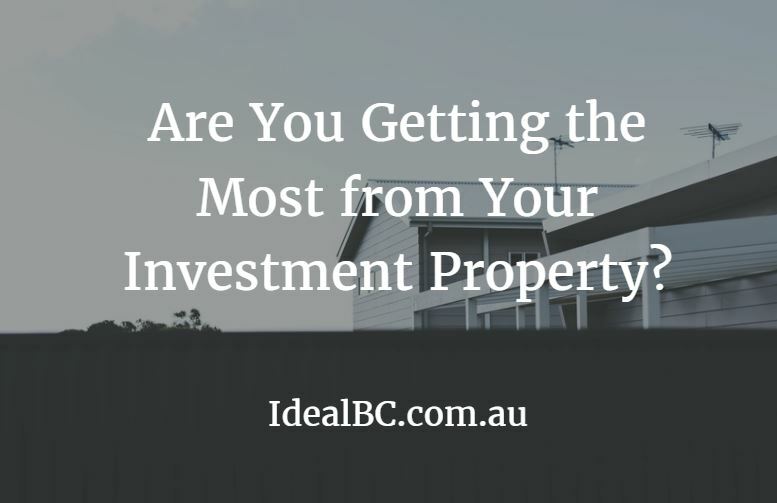 Are You Getting the Most from Your Investment Property? Every thought if you are getting the best returns from your investment property? This guide will help you evaluate the returns. Let’s find it out. Depreciation works to lower your taxable income, meaning that you pay less tax, which can help boost your return. To make it less cumbersome, the ATO allows you to claim depreciation using low-value asset pooling. This means you do not have to account for the depreciation for each asset separately, but rather pool all the assets together and claim depreciation on the pooled asset value. Depreciable assets for an investment property include both items within the building, classed as “plant and equipment”, and the “building” itself. Plant and equipment covers items such as ovens, air-conditioners and carpets, and building includes construction costs for items such as brickwork and concrete. Common property, for example stairways and gardens, can also be included as part of the building. Before we can help you assess your claim, you will need to have your property valued by a qualified quantity surveyor. As construction and property depreciation is a specialised field, accountants are unable to make estimates on construction costs. As part of the valuation, the surveyor will need to conduct a site inspection and photograph and log all items in a report. The optimum time to do this inspection is after settlement, and before your tenant moves in. Note, too, that it may take a couple of weeks for the surveyor to prepare the report. The surveyor’s report will allow us to work out the depreciation type and schedule. The good news is that surveyor fees are tax deductible too! Even with talk of bubbles bursting and budget-time reforms, property remains a popular choice for investors. An investment property can bring more savings at tax time through property depreciation deductions than many people – particularly new investors – realise. How old is the building? This will determine which costs can be included in your depreciation schedule. If it was built post-1985, then plant and equipment and building costs can be depreciated. If it was built before 1985, then you can only claim for plant and equipment. Did you buy the property a few years ago? This doesn’t mean you have to miss out on the depreciation savings – if deductions are available, we can go back and amend your previous tax returns. Renovation expenses can be included, but we’ll need to know the amount of these costs. You’re also entitled to claim depreciation even if the renovations were completed by the previous owner. But as with the primary valuation, if you don’t know the cost of the renovations, then a quantity surveyor will need to make that estimation. Keep in mind that repairs and improvements made to the property before it is leased can’t be claimed in the depreciation schedule, because the costs are incurred before the property is generating income. Also, some items which you might think are fixtures, such as cupboards, are actually classified as part of the building, and so the expense of replacing them can’t be claimed as a depreciable asset under Div 40 of the Income Tax Assessment Act 1997. However, a percentage of the cost of installation by a tradesperson can be claimed as capital expenditure. The claimable amount will be influenced by the tradeperson’s profit margin. Talk to us to find out more about your obligations, entitlements and other considerations when working in the gig economy.